Thank You everyone for this campaign and for watching. Have fun. 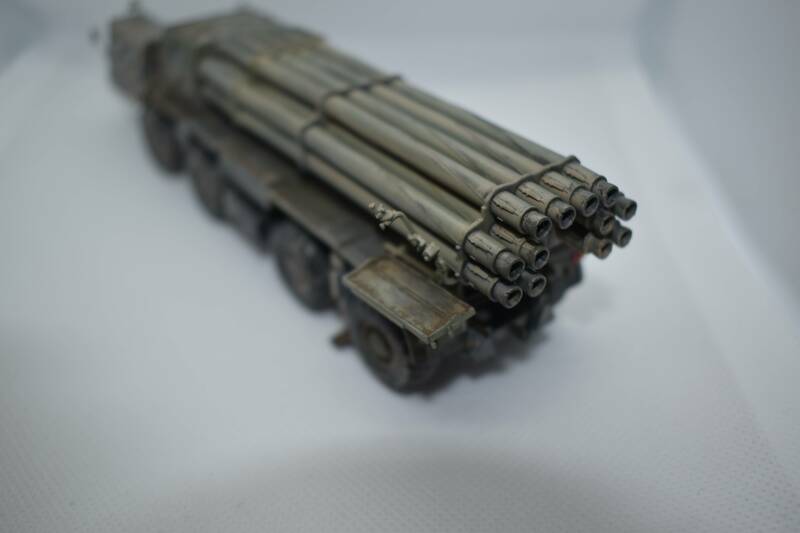 Originally I was going to go with Esci's Nebelwerfer and crew set, but upon examining the condition of the sprues I shelved it after getting as far as starting the carriage. 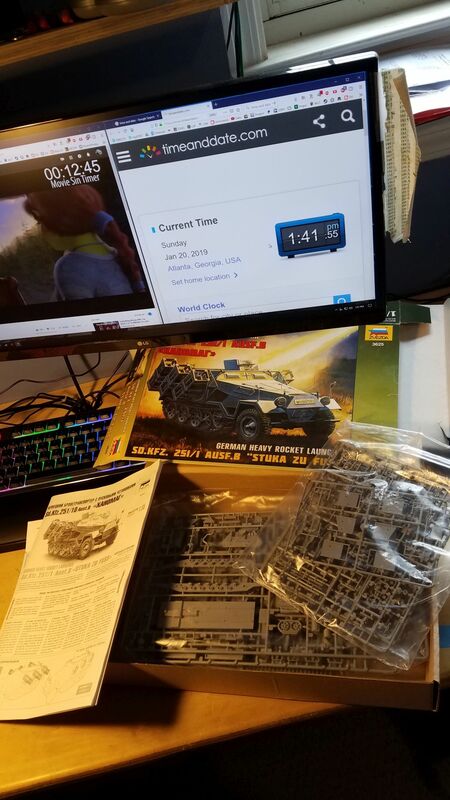 I want to enjoy this campaign and am working on several other builds atm and just don't feel like fighting with a box of plastic. 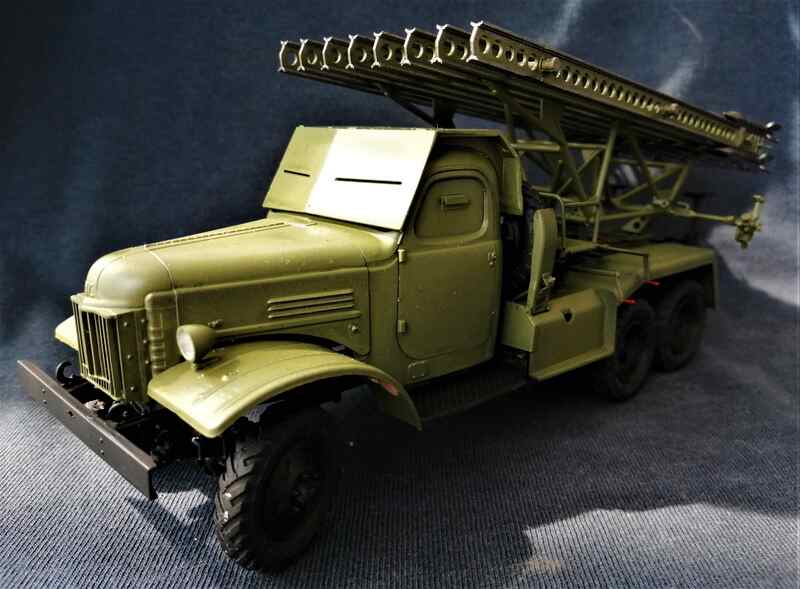 So I am going to go the clichéd route of building a SdKfz 251/1 Stuka Zu Fuss, but hopefully mine will differ as little in being Zvezda's Ausf B version and not another C or D.
This will be primarily OOB with the possible addition of items sourced in my house, but no third party product like PE updates or metal tracks. All I can afford to spend on it is time -- and barely any of that. Wow, wow and wow. A very nice chunk of hardware well turned out. Congrats. Shell, you think Esci's is a struggle, look over Lion Roars..... I hope the 251 works out for you. Interested to see that kit compared to others. 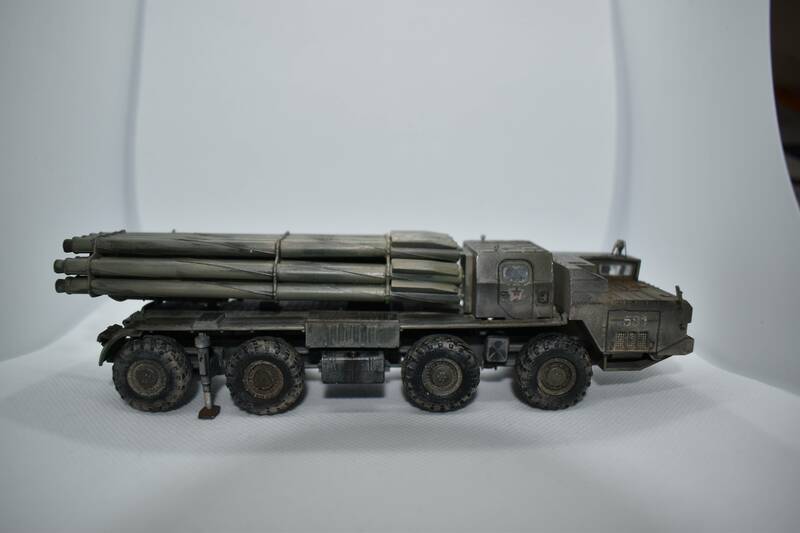 Martin: Great job on the BM-30. I like the weathering. 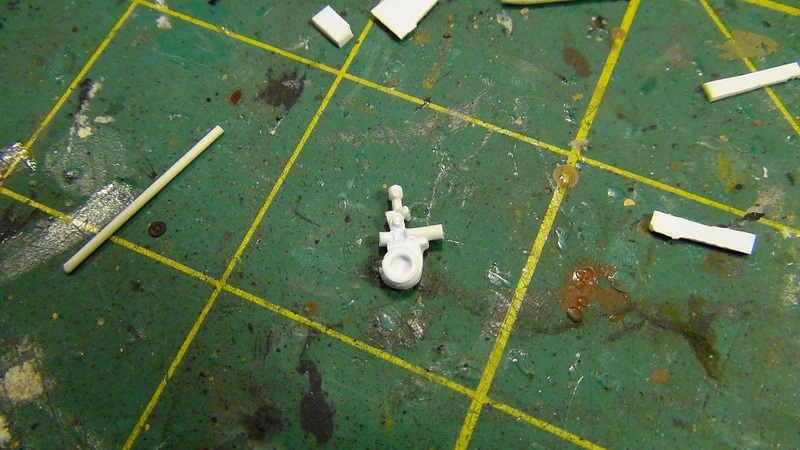 Shell Bush: Good choice with the Stuka Zu Fuss. It's one of my favorite Hanomag variant. Thanks Mark, Chris F., Peter, Richard, and Zon. Good luck everyone on your builds. 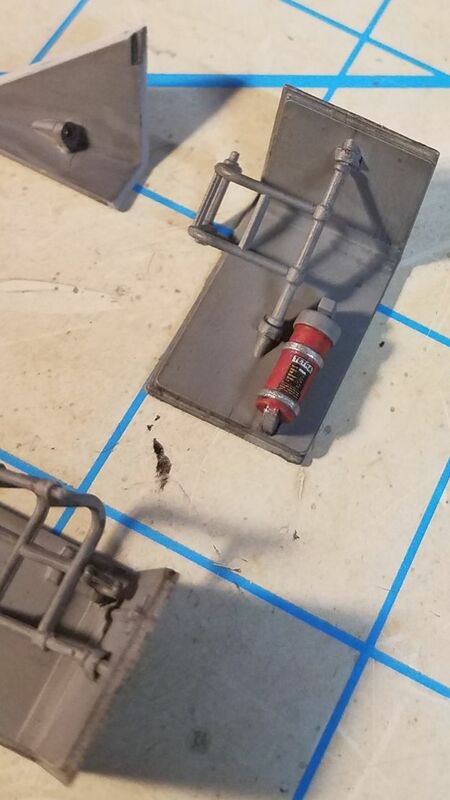 My kit lacked a targeting sight. 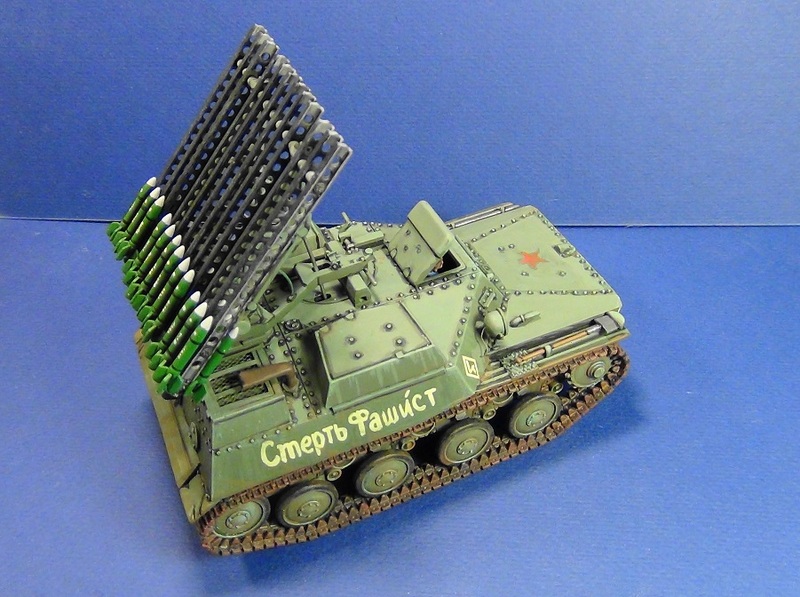 I scratchbuilt one from Internet references. The targeting sight and attachment arm are attached to the launcher. 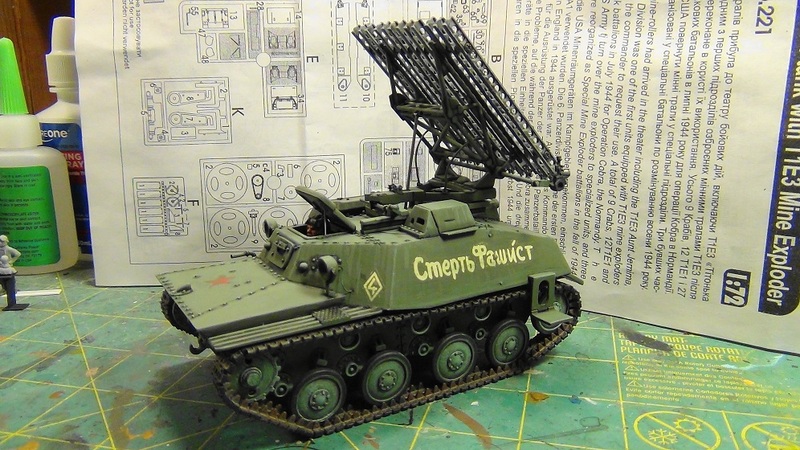 The launcher received shading and highlighting. The glossed decals also got a coat of dull coat. 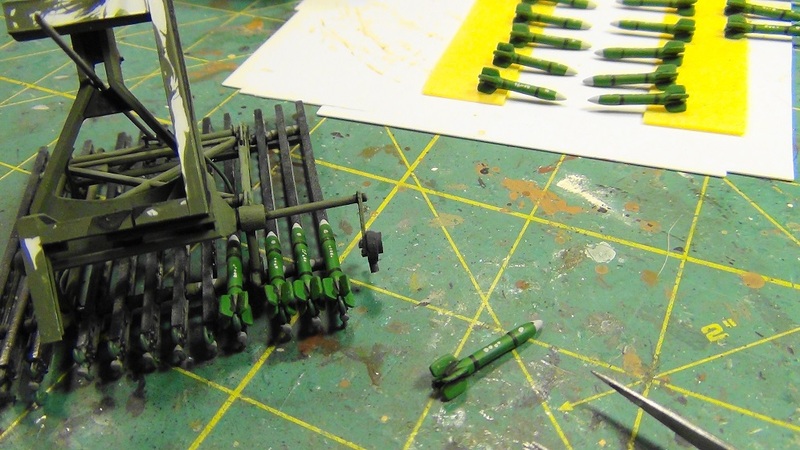 All rockets are detail painted, and ready for installation. 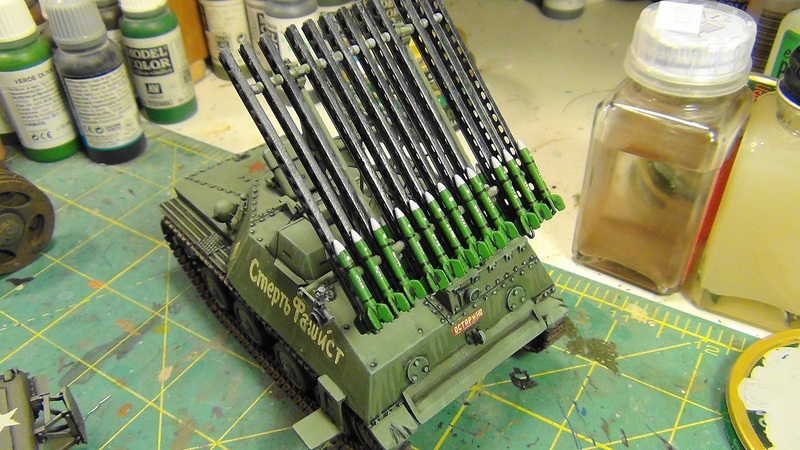 All 24 rockets are applied to the rails. 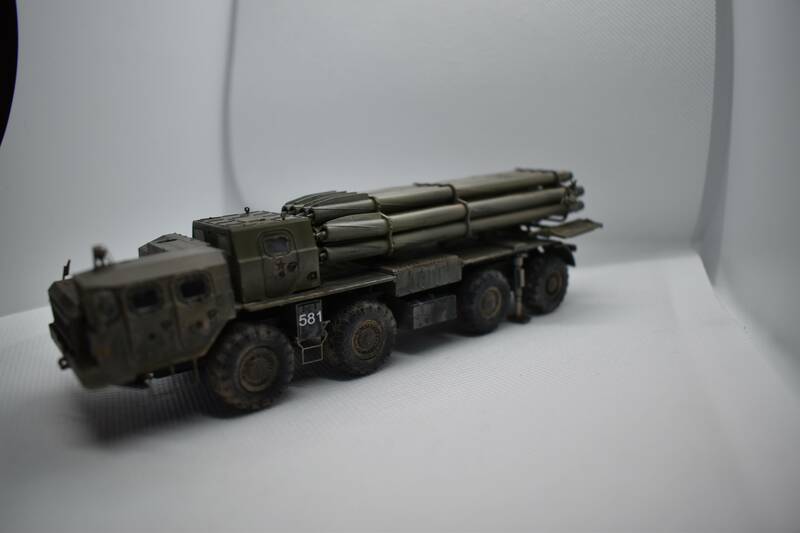 That is a great looking battle worn Smerch!Your weathering makes the model look like it has seen quite a bit of action. 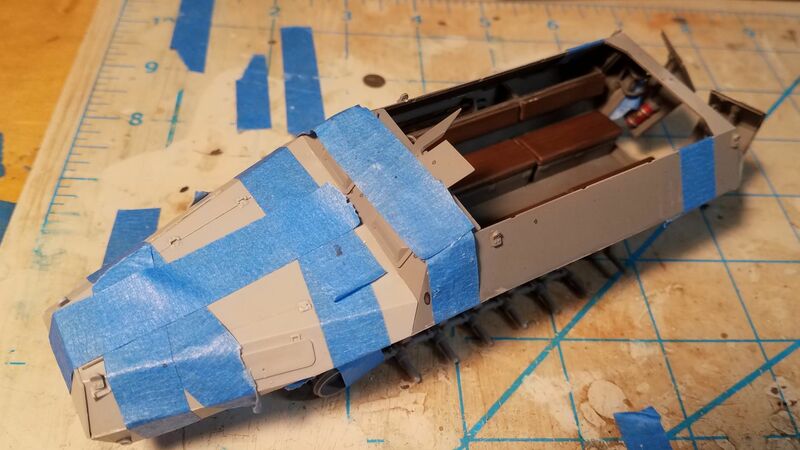 Your build is a great example of how good 1/72 armor kits can look! Calling this one done. 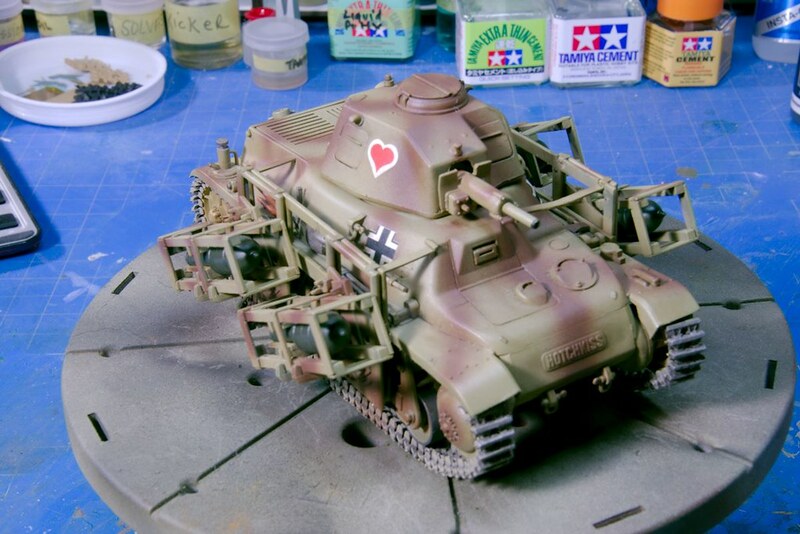 Hotchkiss 39(H) by Trumpeter is done. Only did a pin wash to it, didn't see a need to do a lot of weathering. This one was challenge to build as there was a lot of flash and poorly fitting parts. I wouldn't want to build another one of these by Trumpeter. Anyway here are few photos of the finish product. You have done a top job on that Mark. Very nice. Glad to see the end of it I guess. Bill, just gets better each time. You guys have done great work. 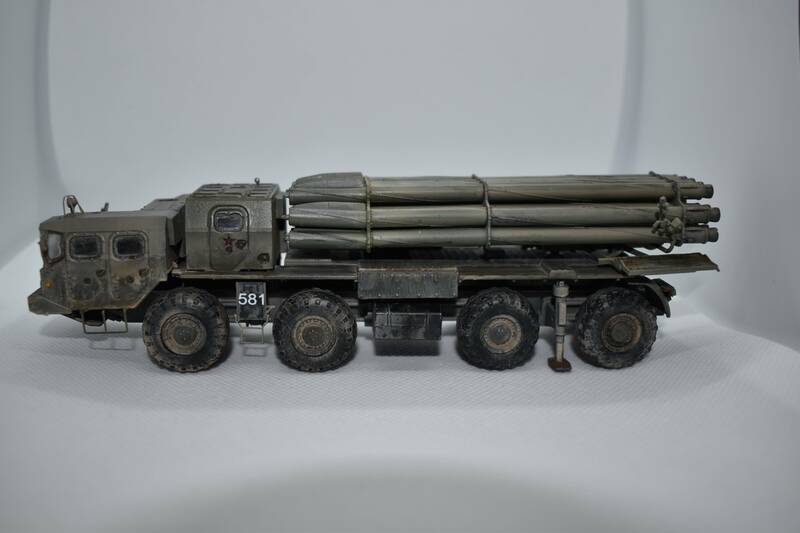 Martin, great job on your BM-30 - that would be the case even for 1/35, but you pulled it off for 1/72 - nice. William, awesome BM-8-24, it’s not easy to get those launching rails lined up and looking good. I‘m looking forward to seeing it finished. Mark, your H39 looks excellent - love the camo. 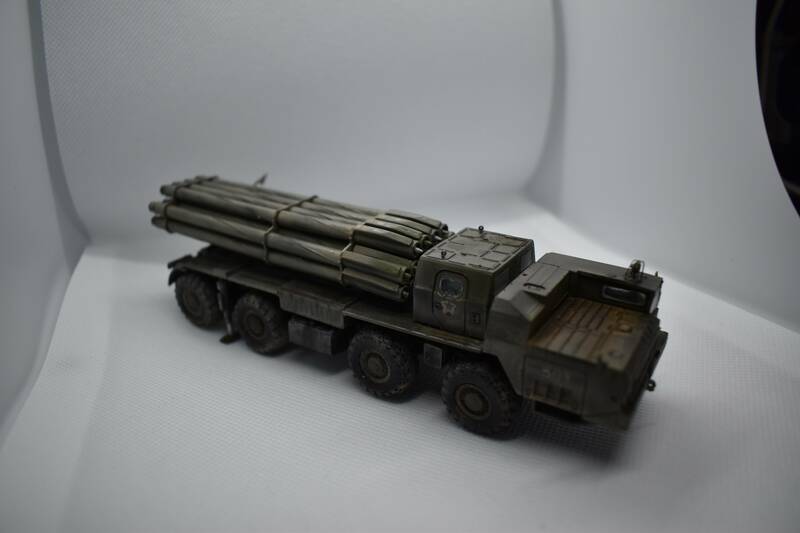 Well, I‘ve managed to get my BM-27 Uragan built up to the point where I can paint it, then I‘ll finish the cab and attach it, as well as the section behind the cab containing the radiators, the wheels, etc. 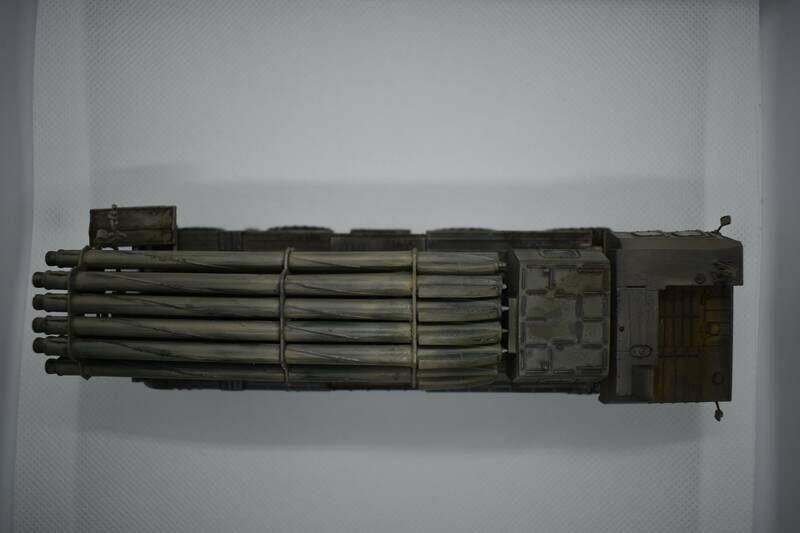 I added small sections of Evergreen rods cut and joined together at at 45-degree angle to the various instrument panels and electronics assemblies in the cab - these are supposed to be the various connectors for the wiring in the cab, which is pretty noticable in these vehicles. Hey guys, sorry for the long absence from the build thread. Thanks goes out to Peter and Jerry for commenting so nicely on my build. 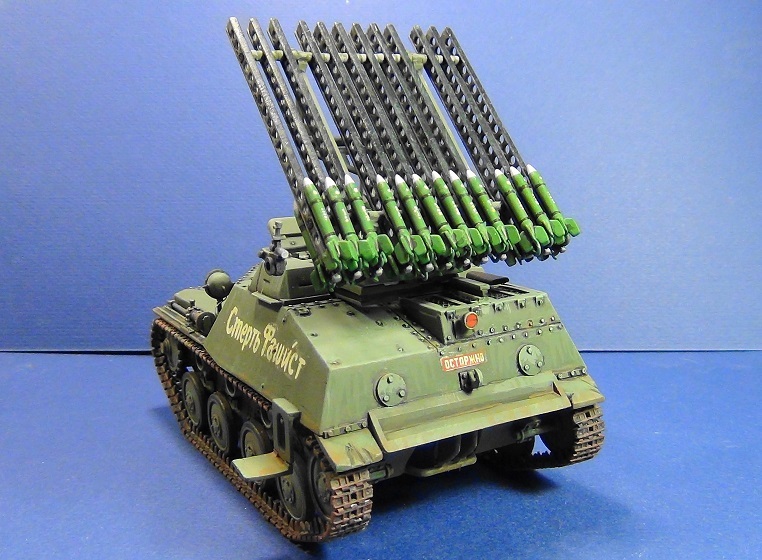 Mark, the rocket armed Hotchkiss tank turned out great. 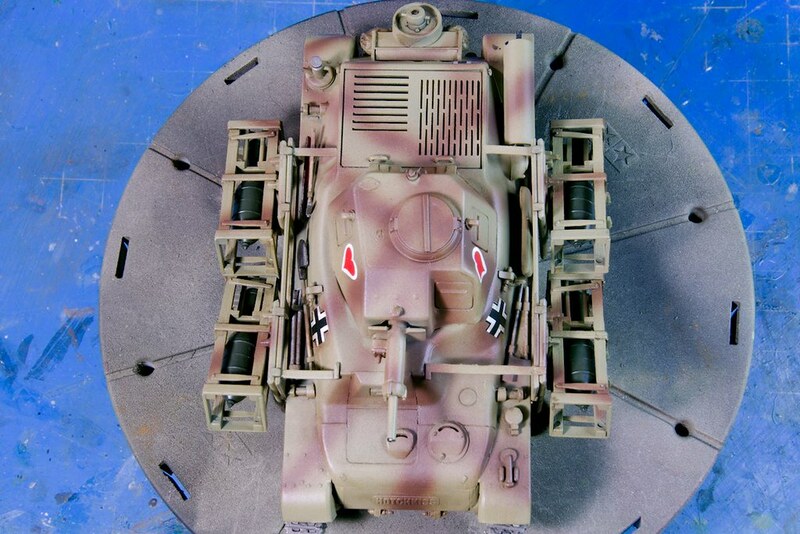 I like the German markings. Jerry, your Uragan build is very impressive. Lots of detail in that kit. 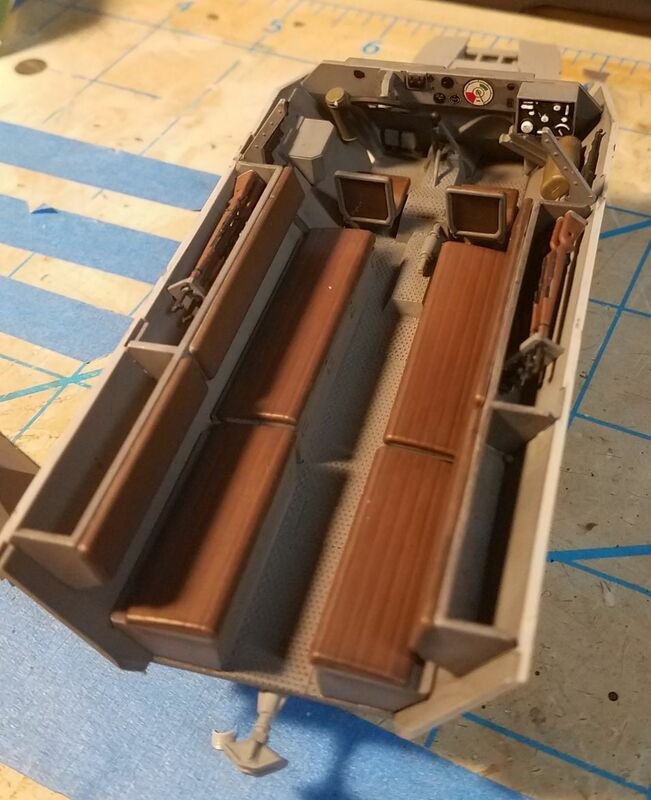 This is my final reveal on the BM-8-24 build. I had a wonderful time participating in the campaign. I added the tank tools to the model. Not much, just a shovel, pry bar, and a jack. I also applied a road dust filter to the suspension and underside. 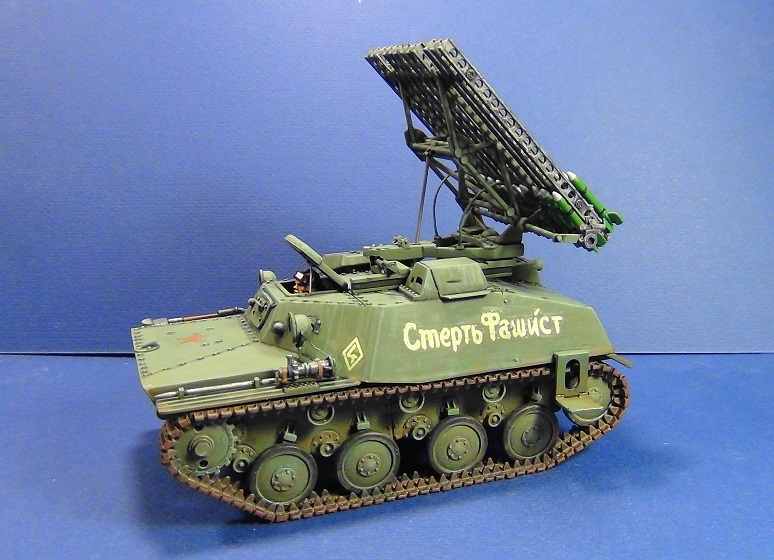 I had to do a complete restoration of the model due to it being dropped on the way to a model club meeting. Nearly everything broke off. Curse words flew!!!! Even Ivan Spankanov, the driver, fell off his seat. Thankfully, getting the top hull apart wasn't a problem. Luckily, after a few hours of work, everything went back together. Pfew!!!! Good luck everyone finishing your projects. That looks fantastic, William. You really did wonders with that thing! 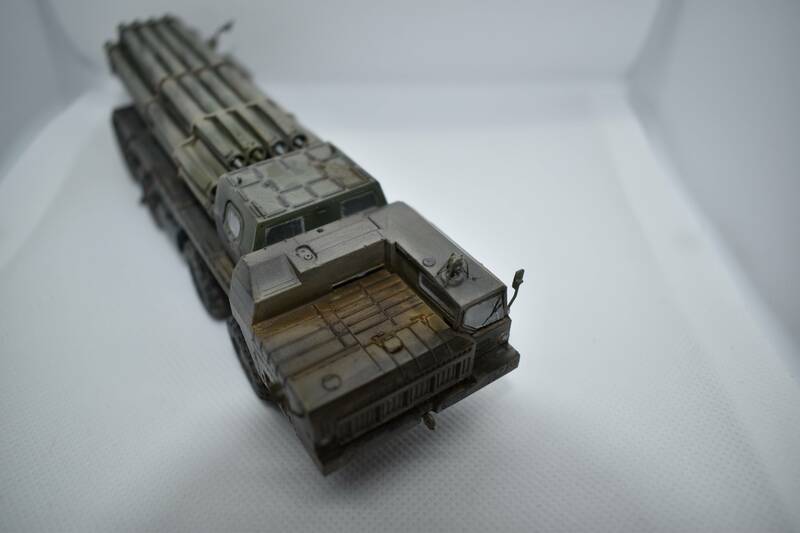 Very nice work, the paint work looks great and the decals look painted on. Fantastic Bill. Lovely little kit with all the extra work really making it a standout. Thanks for joining in. Jerry, nice little extra details there too. 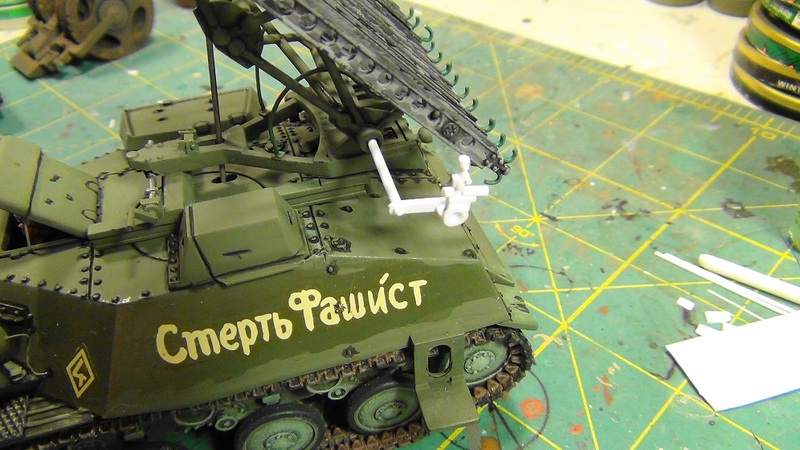 I have to say that this Zvezda kit is not as user-friendly as the other kits I've built. 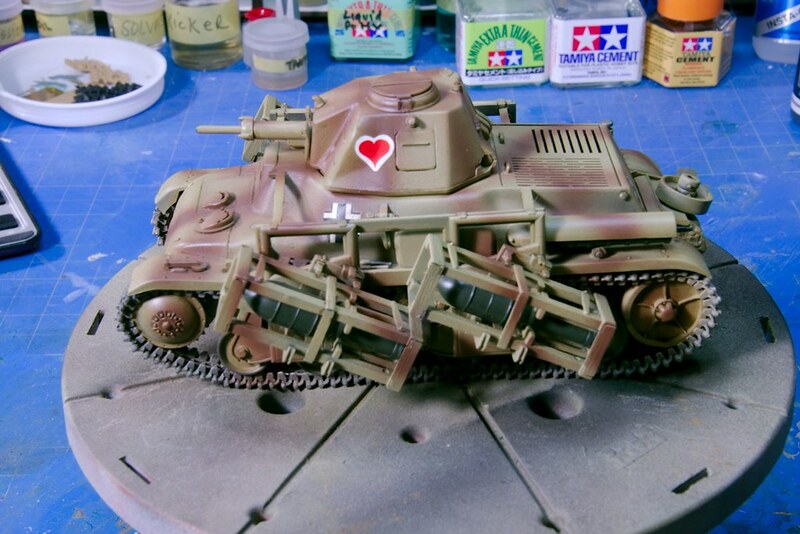 The old Tamiya is what it is, and is obviously a quick and easy go of it. 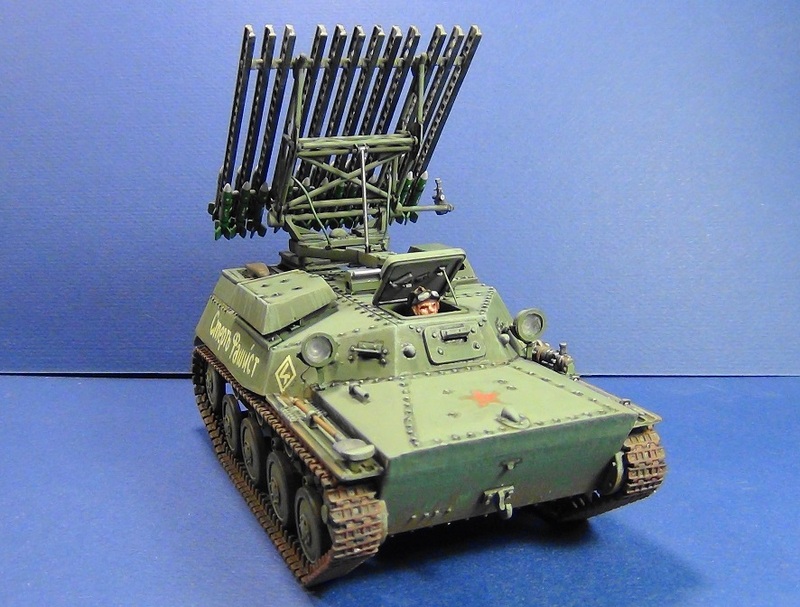 I liked some aspects of AFV's kits engineering but on the whole found Dragon's to be less fussy with fewer over-engineered bits that broke easy. 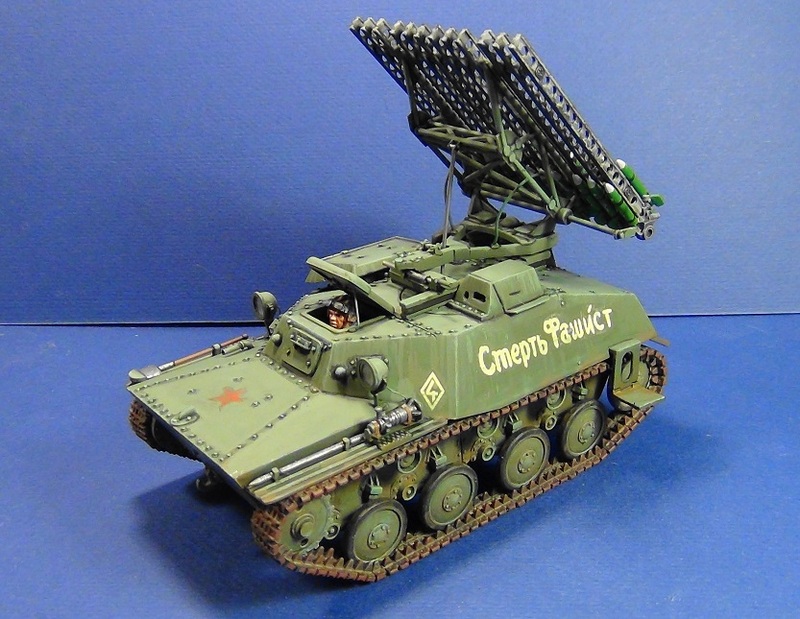 I'd definitely go Dragon-AFV-Tamiya-Zvezda in order of preference on future purchases. It is now Spring Break, and I don't have to deal with any but my own two children for nine days. I have two teenage girls, so my wife gets the burden of providing entertainment as I'm a man and don't know anything about women. Even though I managed to marry one and produce at least two others so far, but whatever. Upside is: bench time! Nice progress, Shell. Are those kit decals or AM? Look like Archer's FE decals Mark. They are great. I'd like to see him burned after the shooting. Very Nice Angel. Another great addition to the collection. 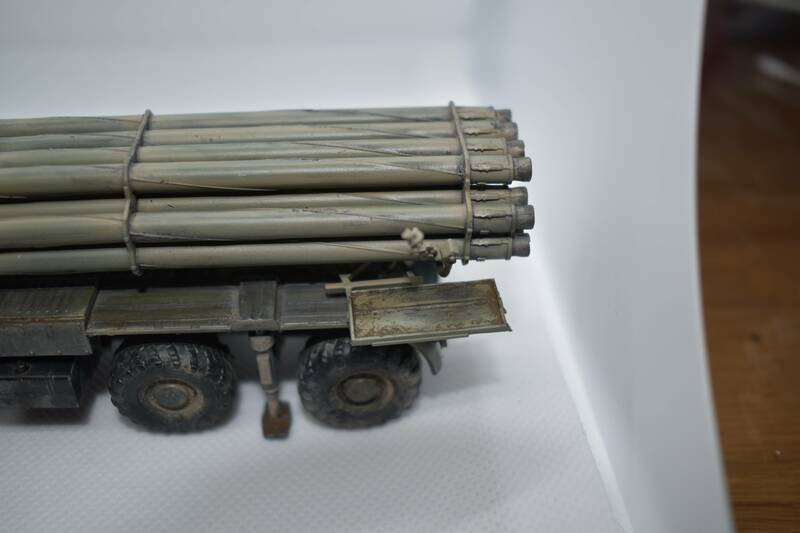 I model the launcher from the monument in the city of Kula,Bulgaria. 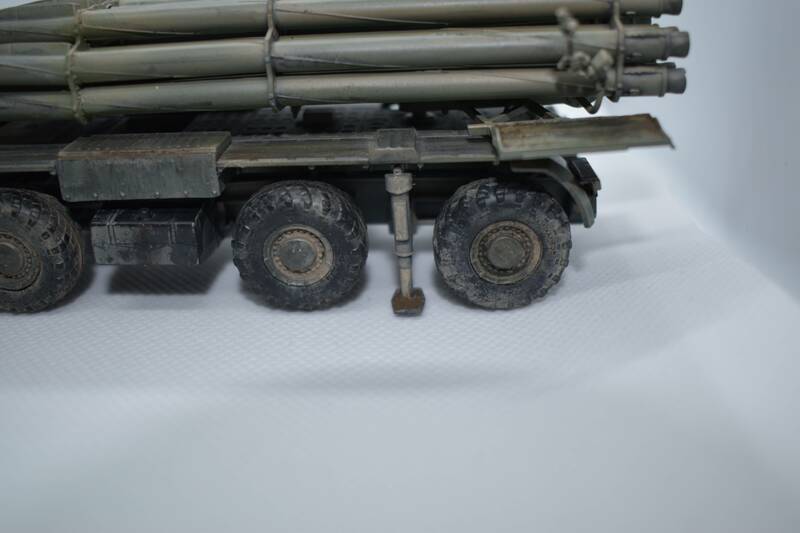 Thus there will be no sooth from firing, only light weathering. 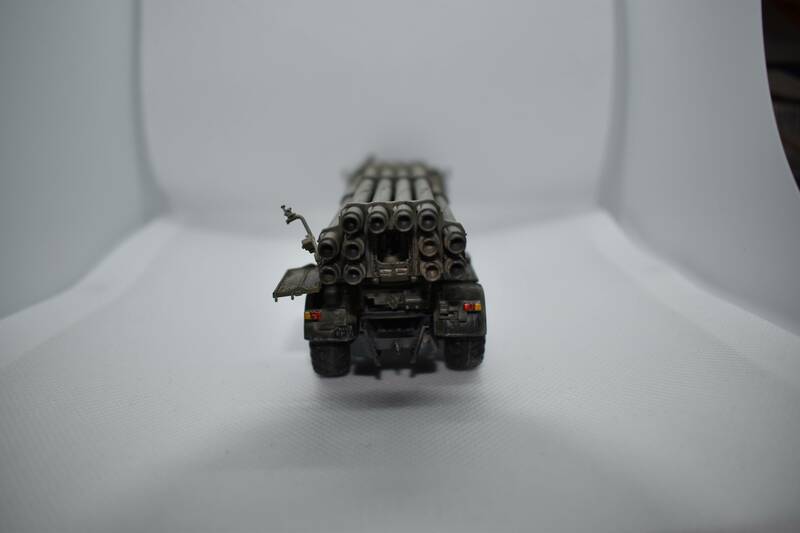 To be honest-I can't do heavy weathering.